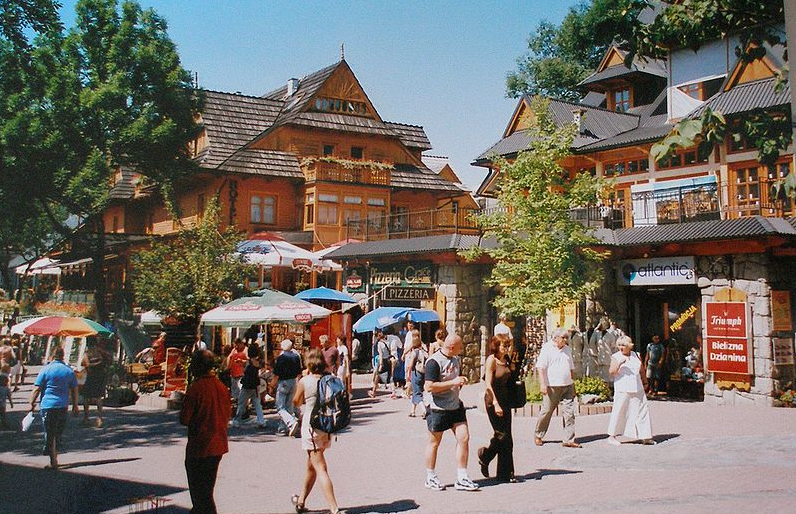 Half a day trip that visits some of the most important places and sights of Zakopane including an excellent insight into the local history. Start from Wielka Krokiew Ski-Jump (visit to complex of ski jumping hills) then have a nice walk along the main street „Krupowki”, visit to Fatima Sanctuary and Tatra Museum. Afterwards walk along Koscieliska street where can delight typical old wooden architecture (the oldest part of Zakopane with traditional housing, the Old Church, Old Cemetery and Willa Koliba ), then visit to local market and next ride up a funicular car to the top of Gubalowka Mount to admire a stunning view of the Tatra Mountains.